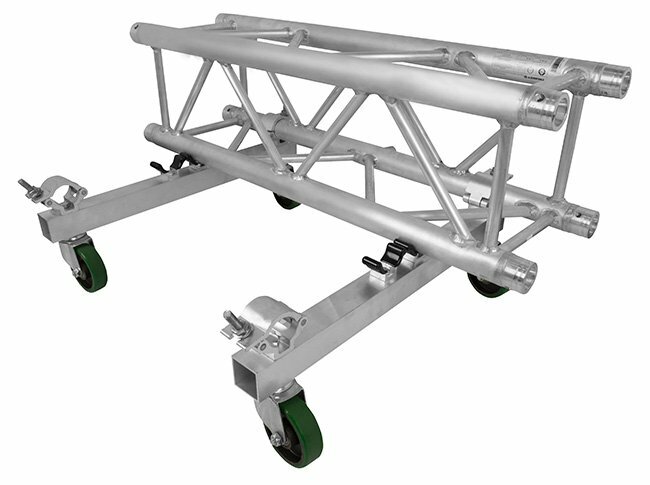 The Trusst® Truss Dolly Kit is a complete solution for transporting straight sections of CT-290 truss properly and easily. 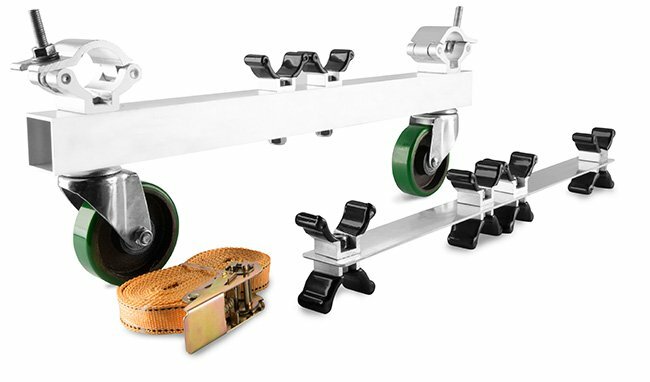 The Truss Dolly Kit includes (2) two wheel dollies with heavy duty polyurethane coated casters, (10) ten truss spacers with plastic coated saddles, and (2) two ratchet straps. 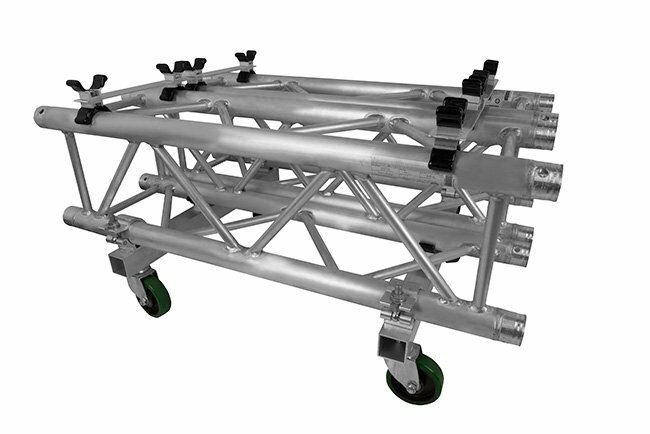 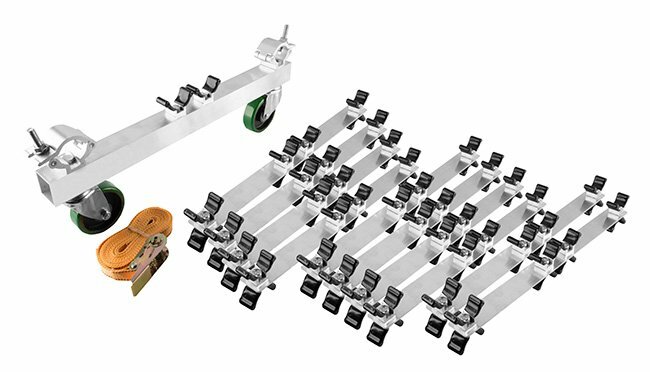 The Truss Dolly Kit can accommodate up to (12) sections of straight truss of any length. 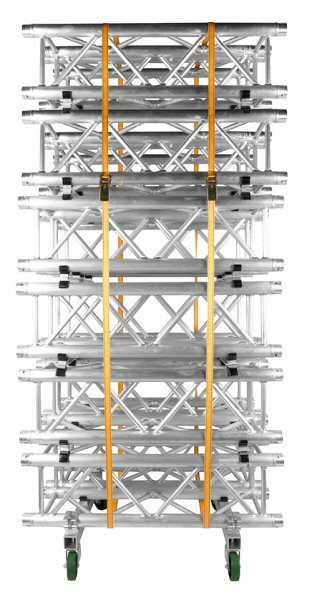 Used properly, there is no metal to metal contact between truss sections, preventing scratches, wear, and extending the life of the truss. 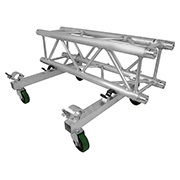 The Truss Dolly Kit is also compatible with other brands of 290mm box truss.